I stopped in to R&E Deli to grab a sandwich today. It's next to the El Conejito in Lake Forest. I decided to get their small Italian sub. ($4.49) The sandwich had Genoa salami, proscuito, mortadella, cappicola and provolone cheese. They put tomatoes, lettuce, onion and italian dressing on the sandwich. Hot peppers, mustard any mayo are available upon request. I asked them to hold the tomatoes on mine and to add hot peppers. In my opinion, the sandwich was way overloaded with lettuce. 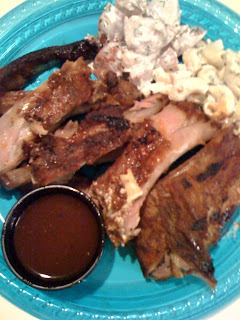 The meats seemed inexpensive and flavorless. I didn't taste any onion. I was diappointed that the "hot peppers" were not pepperocinis or banana peppers like one would expect on an italian sub. 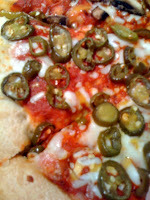 Instead I got those nacho sliced pickled jalapenos. The sandwich reminded me of a cheap bologna sandwich with tons of lettuce and not much else. I have heard that other people really enjoy some of the other sandwiches served here, so I may try this place again and get something else. I would never again get this Italian sub though. Mr. Wok is a fairly new restaurant at El Toro Road and Rockfield. They have another location further up the street, and I do not know how old that location is. Mr. Wok is a typical style fast food Chinese joint. Large portions of pre-made fast food are scooped out of steam trays and piles into a styrofoam box. A one item combo will run you $4.99 and a two item will set you back $5.99. It's really hit or miss at this place. I find their barbeque pork, fried rice and chow mein to be excellent by fast food standards. However, two other people from my office did not care for the chow mein. I think their barbecue pork is fantastic and their tangerine beef (not pictured) was decent, but a little cold. I was very disappointed with their broccoli beef though. The meat was pale and flavor was definitely lacking. Something else that I enjoyed was their fried wontons. 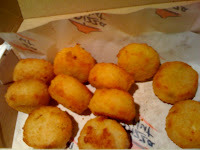 There was not a ton of meat in them, but at 12 pieces for $2.50, I wasn't complaining. If you're craving Chinese food, don't have a lot of time and you're in the area, Mr. Wok is definitely a place you should check out. It's not worth making a special trip for though. Marie Callender's brunch seems to be my default brunch place. I don't go to brunch every Sunday, but when I do it's often at the Irvine Marie Callender's. A combination of both great food, a reasonable price($14.95) and free-flowing champagne makes this an excellent value. and a belgian waffle station. The food here is not gourmet, but very good considering the price. One of my only complaints is that they do not offer bacon on their hot buffet. Typical items you will see on the hot buffet include chicken enchiladas, quiche, eggs benedict, country potatoes, sausage, biscuits and gravy and more. They will be more than happy to use "egg beaters" if you prefer at the omelette bar, and you also select your own toppings so you can have as much or as little as you want. At the waffle bar, they also offer waffle cone bowls and vanilla ice cream with plenty of whipped cream, sauces and candy toppings. 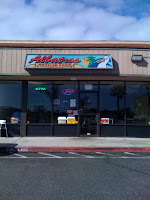 I recently visited the brand new Albatros Mexican Food in Lake Forest. 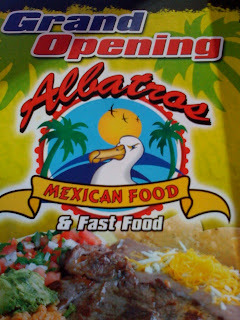 Although they have a bird on their sign, I got the impression that they were trying to make people think that they were an "Albertos". This place is tucked away in a tiny strip mall. The location has had so may different tenants recently that I didn't think that anyplace could survive here. Until now. I went to Albatros with high hopes and wasn't disappointed. 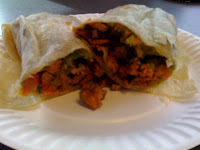 I have only tried one item so far, the carne asada burrito ($3.50), but I was really impressed at both the quality of the burrito and the cost. I watched as the cook took a large portion of fresh beef and threw it on the grill. The small pieces of beef quickly cooked with a few tosses of his spatula. 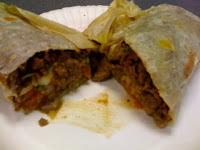 The cook then threw a giant flour tortilla on the grill, removed it and put some oniony guacamole on it and then filled the tortilla with the beef and rolled it. No rice, no beans, just meat and guacamole. An all meat burrito for $3.50? Unheard of! It was also actually so large that I couldn't even finish the whole thing! The meat was tender, but a little under seasoned for my tastes. I would have liked a little more of a citrusy flavor. It wasn't bad at all though. Their salsa was very watery and not very spicy. Another guy from my office got their carnitas burrito. It too was all meat and guacamole, and he enjoyed it very much as well. 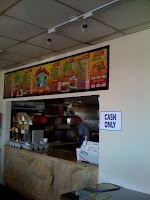 I look forward to returning to Albatros soon to try their other menu items like Tortas ($2.75 ham, beef, chicken, chorizo-$3.00 carne asada, carnitas) Tacos ($1.90-$2.25) Enchiladas($3.40) and more. I hope they don't raise their prices soon though. I can't believe how cheap some of their stuff is! After hearing a lot about this place for years, I finally decided to give Oggi's a try. I went there with high hopes of finding a great new place where I could go and relax, order a beer and get a good pizza. I was sadly disappointed. Oggi's in Tustin resides in the old building that used to be Tony's Sea Landing. It seems that this location has just changed from one restaurant I didn't like, into another restaurant I don't like. I went to this restaurant with my wife and another couple. None of us intend to return to the restaurant. I wouldn't say that everything at this restaurant is horrible, as I did enjoy their hot wings. Oggi's is supposed to be a neighborhood eatery where you can go and watch sports, drink beer and eat good pizza. They have many large screen TV's around the bar and the restaurant. When we first sat down, the server told us that they were out of their two most popular beers, the Hefeweizen and their "Hop Juice". Since those were the two beers that I was considering trying, I opted to just drink water for the night. My buddy Tim and I decided to start off our meal with an order of their hot wings (12 for $11.95). They were actually quite good. They weren't too spicy but they had a unique flavor and were incredibly tender. I added a bit of Tabasco sauce and they were fantastic. I did however feel that at a dollar a wing, they were a bit overpriced. Tim and I decided to split a medium pizza for dinner. 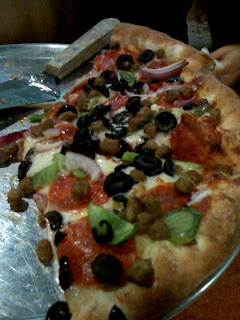 We settled on "The Great One" ($18.95)which was pepperoni, sausage, onion, bell pepper and olives. My wife opted for an individual cheese pizza ($8.95) and Tim's girlfriend got a grilled chicken sandwich ($8.95). The pizza arrived piping hot. 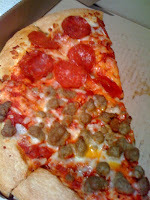 All of the toppings were there, and the pizza looked delicious.......but it just wasn't. The dough was bland, the sauce was overly sweet and the toppings tasted as if they weren't there at all. Tim agreed that the pizza was horrible, but since he was starving, his half of the pizza was soon gone. 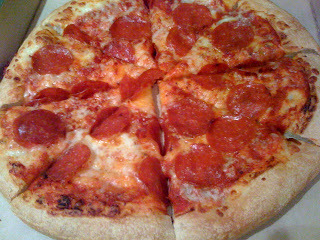 I was able to finish one slice of pizza after covering it with a thick layer of Parmesan cheese. After that though, I couldn't bring myself to eat another slice. My wife had a similar opinion of her tiny cheese pizza. She said it tasted like she was eating nothing at all, and she then proceed to cover the pizza with a thick layer of Parmesan cheese and crushed red pepper. We all then asked the fourth member of our party how her sandwich was. She said something like "It's really weird.....I see all the toppings on my sandwich, but I can't taste them. The chicken is also REALLY dry." It's amazing to me how all of our food could taste so entirely bland, especially after being happy with the flavor of their hot wings. When the waitress stopped by our table, she saw that I had only eaten one slice of my half of the pizza and asked me if I wanted a box. I told her "No thanks, I really didn't like the pizza, so I'm not going to eat it." She looked at me for a second and then said "So, you just want me to leave it here so you can keep munching on it?" I repeated myself, "No, I don't like it. I'm not going to eat it." She stared at me again with a deer in the headlights look and then said "So......you want me to throw it away or something?" I responded "Sure." So the wait-staff here doesn't seem to be too bright, and the food seems to be awful and bland except for their overpriced hot wings. I see no reason for me to return to this place. If you disagree, I'd love for you to e-mail and tell me why.